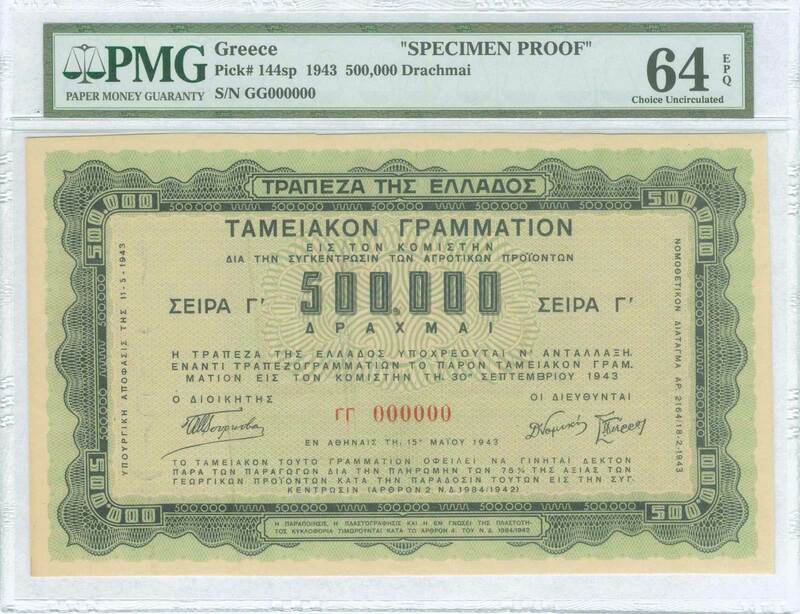 500000 drx (15.5.1943) (3rd Series) Agricultural treasury bond in green and brown. Serial no "ΓΓ 000000". 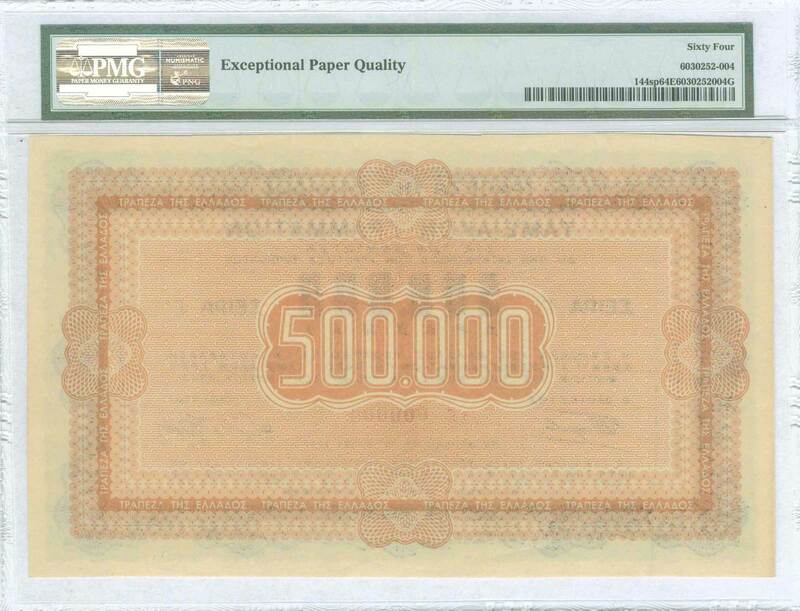 Inside plastic folder by PMG "Choice Uncirculated 64 - Exceptional Paper Quality - SPECIMEN PROOF". (Pick 144sp) & (Stratoudakis / Pitidis 144s).